Savings bond interest changes with market conditions. 1. When Does a Double E Bond Mature? 3. Does Every Savings Bond Have a Different Interest Rate? 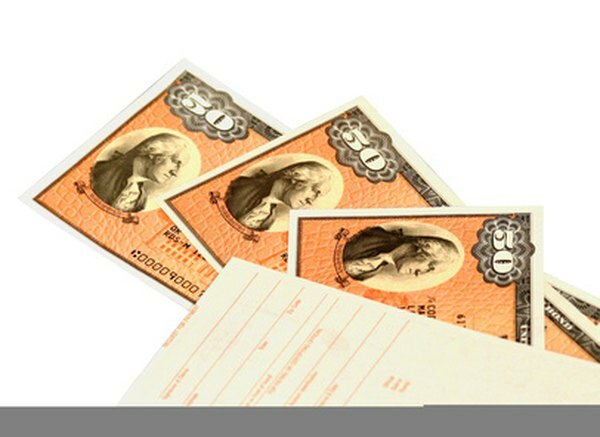 U.S. savings bonds are among the safest of investments, backed by the full faith and credit of the United States government. They pay interest for 30 years. There are two types of savings bonds available, Series I and Series EE. The interest rates on both bond series change in response to financial market conditions but in different ways. The Series I bonds are indexed to inflation as measured by the Consumer Price Index for all Urban Consumers, or CPI-U, so the interest rate can change several times over an I bond’s 30-year lifetime. The interest rate is adjusted each May 1 and Nov. 1. Since November 2010, the rate on Series I bonds has been set at twice the CPI-U, but the Treasury Department can change the interest computation formula in response to market conditions. As of the May 2012 fixing, the interest rate on Series I bonds is 2.2 percent. If the interest rate changes in May or November in response to a change in inflation, the change affects all outstanding Series I bonds but not necessarily immediately. A changed interest rate is applied according to the issue month of your Series I bonds. For example, if your Series I bond was issued in February, your interest is added to your bond each Feb. 1 and Aug. 1. A November change in the interest rate won’t affect your Series I bond until the February-to-July interest accrual period. A May interest rate change won’t affect your bond until the August-to-January interest accrual period. Series EE bonds pay a nominal fixed rate of interest for the life of the bond. The interest rate is fixed each May 1 and Nov. 1, and is based on the prevailing market rates for 10-year Treasury notes. The rate affects all EE bonds sold during the six months following a rate fixing. For example, the 0.6 percent interest rate set on May 1, 2012 affects all EE bonds sold through Oct. 31, 2012. If the rate changes on Nov. 1, the new rate affects EE bonds sold through April 30, 2013 but does not affect bonds sold before Nov. 1. If you buy EE bonds over a long period of years, your bonds may have several interest rates. The Treasury guarantees that EE bonds will be worth twice their purchase price if you hold them for 20 years. That translates to an effective interest rate of 3.5 percent over the 20-year span.. If the nominal interest rate doesn’t produce a doubling of value in 20 years, the Treasury will make a one-time interest adjustment at the 20-year mark to double the purchase price. If you redeem the bond before 20 years, you get only the nominal interest rate. At the 20-year mark, the Treasury has the right to adjust the nominal interest rate to match market conditions for the 10 additional years the bond can earn interest.